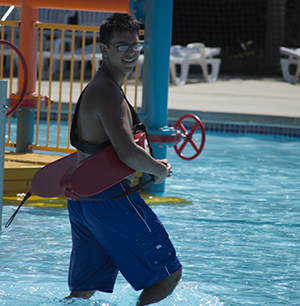 To begin the application process, submit a Lifeguard Interest Form online. Recreation staff will then follow up on the next steps. Interest forms should be submitted by April 15. All Ramsey County lifeguards must be certified prior to employment. Parks & Recreation is offering four, three-day certification courses this winter for applicants who do not hold a current certification. Courses run 8 a.m. - 5 p.m.
Fee is $100. Completion of the course does not guarantee employment with Ramsey County. Posted on Tuesday, January 29, 2019 - 10:00 a.m.